Miles Park is an Industrial Designer with many years of combined experience in professional practice, research and teaching. 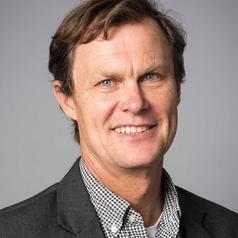 Prior to his current role as Senior Lecturer, Miles was Program Director for Industrial Design at UNSW, Course Leader of Product Design | Sustainable Futures at the University for the Creative Arts, UK and has worked in numerous design practice and research settings during the past twenty five years. Miles maintains a professional and educational interest in Industrial Design to which he has contributed internationally through research, education and professional practice. Research interests include Product obsolescence, e-waste, low-cost digital making and the environmental performance of products. Course Leader, Product Design | Sustainable Futures, University for the Creative Arts, Farnham, UK.